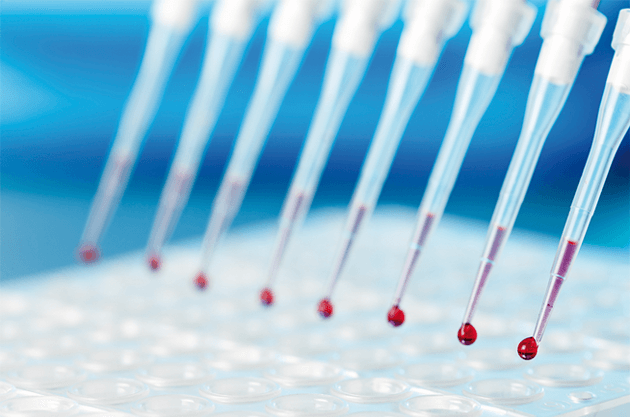 Modern medical laboratories are characterized by highly automated processes with a high degree of repeatability. Their task is the analysis of very small individual samples in large charges within a very brief time. To this end, for example, the cavities on microtiter plates are becoming ever smaller and ever more closely placed. In this manner, large charges of samples can by analyzed with the sparing use of expensive reagents. In order for the results of the analyses to be absolutely reliable and correct, the laboratory equipment, such as automatic pipetters for liquid handling, must be controlled very precisely. One faulty transfer of liquids would lead to erroneous results and the destruction of valuable and possibly irreplaceable samples. 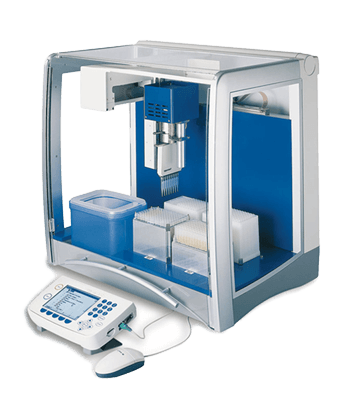 The importance of modern laboratory technology is also shown by the fact that many devices are equipped with redundant measuring technology that continuously monitors the position. Linear and angle encoders from HEIDENHAIN ensure a high degree of positioning accuracy at high traverse speeds. 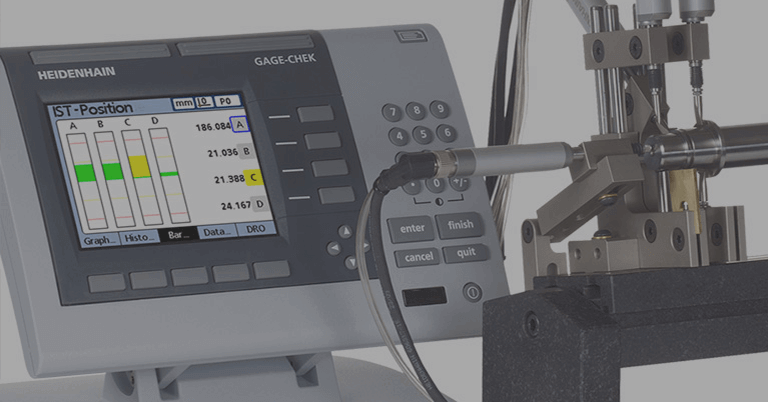 Thanks to the absolute position measurement, exact information about the position is available at all times, such as for the pipettes in the automatic pipetters. The high resolution of the encoders and the rapid data transfer to and from the control permit very precise positioning, but at the same time ensure a very steady and even control response for movement of the samples without jerk. For rotatory systems there are absolute angle encoders with a measuring accuracy as good as ± 0.4“. 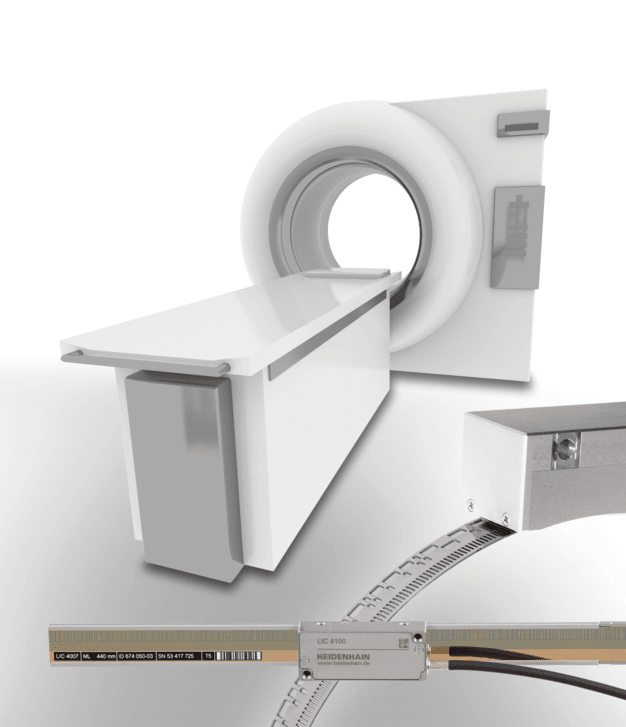 For linear systems HEIDENHAIN offers linear encoders with an accuracy grade of ± 3 μm up to a measuring length of 28 m. This makes high-precision monitoring and controlling of long measuring and control paths in linked laboratory chains possible. 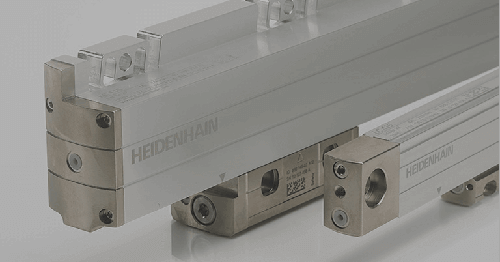 HEIDENHAIN is one of the worldwide technological leaders for linear, angle, and rotary encoders, as well as for digital readouts for machines and facilities. 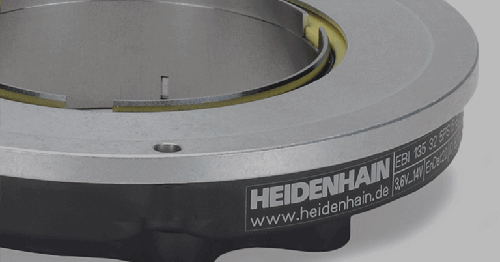 HEIDENHAIN achieves this success by combining the continuous drive to provide technically superior products with reliability, closeness to the customer, and a practice-oriented frame of mind. Part of this is the continual dialog with science and research on the one hand and with users and customers on the other. naturally applies the know-how gained from these experiences to all products, ranging from customized solutions for specific industries to series production. 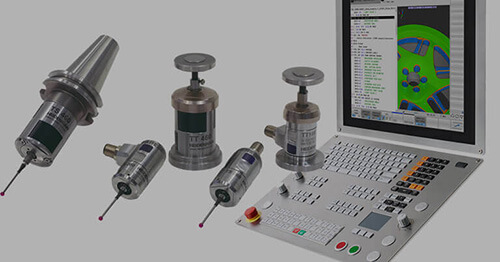 HEIDENHAIN encoders with optical scanning incorporate measuring standards of periodic structures known as graduations. 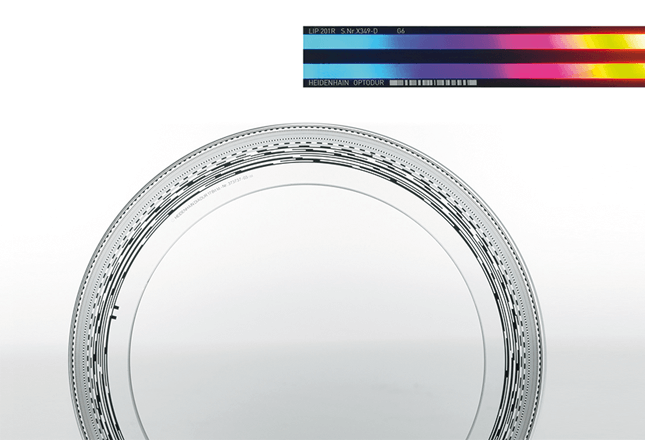 They have grating periods as fine as 2 μm or even better, combined with high edge definition and good homogeneity of the graduation. 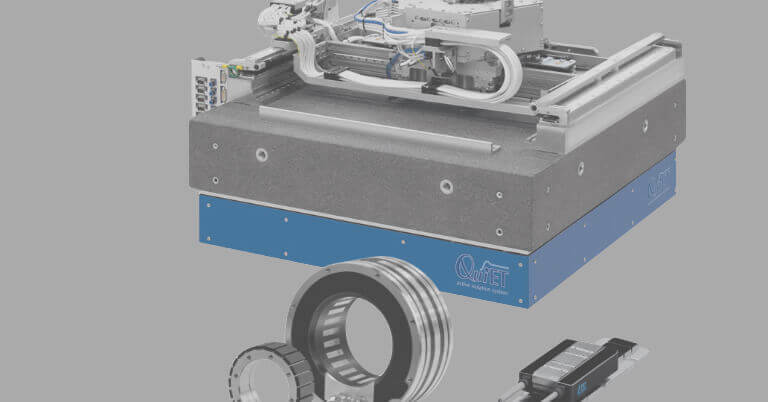 Together with the photoelectric scanning method, this fine graduation is a precondition for the high quality of the output signals of HEIDENHAIN’s linear, angle and rotary encoders and digital readouts. With the absolute measuring principle the position value is available immediately after the encoder has been switched on. The absolute position information is read from the graduated measuring standard, which is formed from a serial code structure, and from a separate incremental track that is interpolated for the position value. 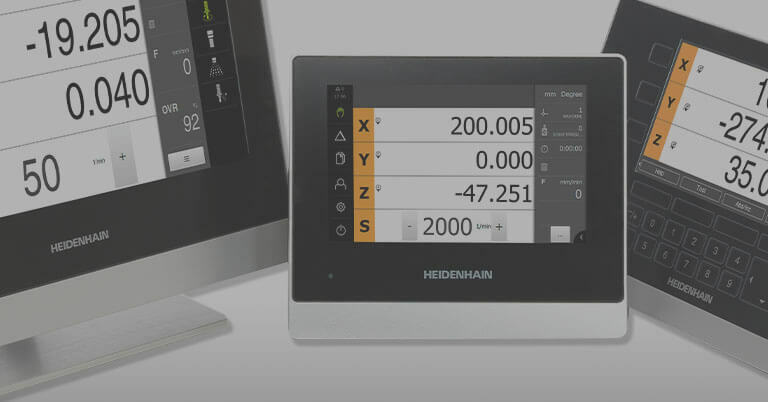 The compact and fully-integrated design of the digital readouts and linear, angle and rotary encoders from HEIDENHAIN permit their installation even where space is limited. At the same time they operate absolutely reliably and with a high degree of availability.